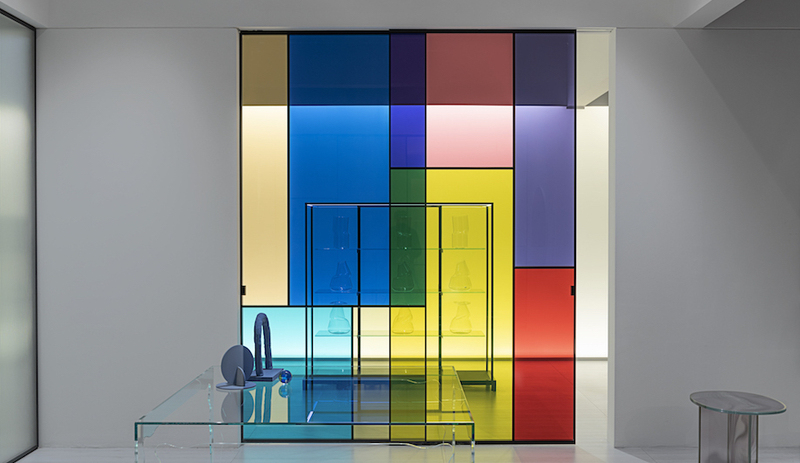 It’s time to get acquainted with Polish design. 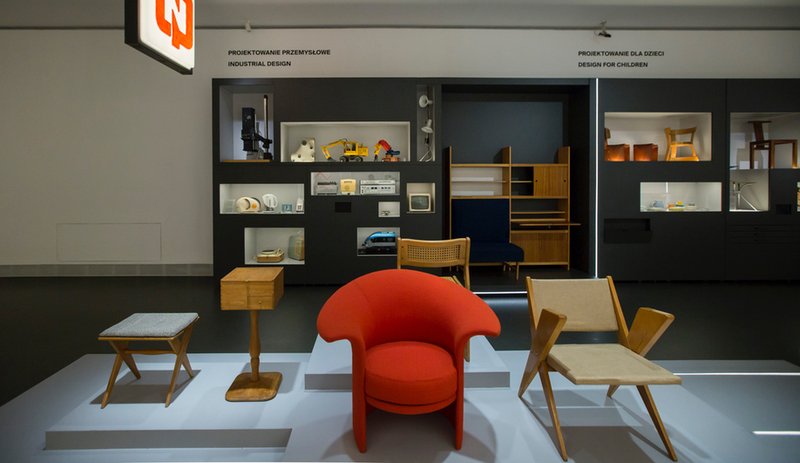 The opening of the Gallery of Polish Design at the National Museum in Warsaw, which was ribbon-cut just before the new year, celebrates the country’s rich design history – while also acknowledging that much of its potential was suppressed in communist times. 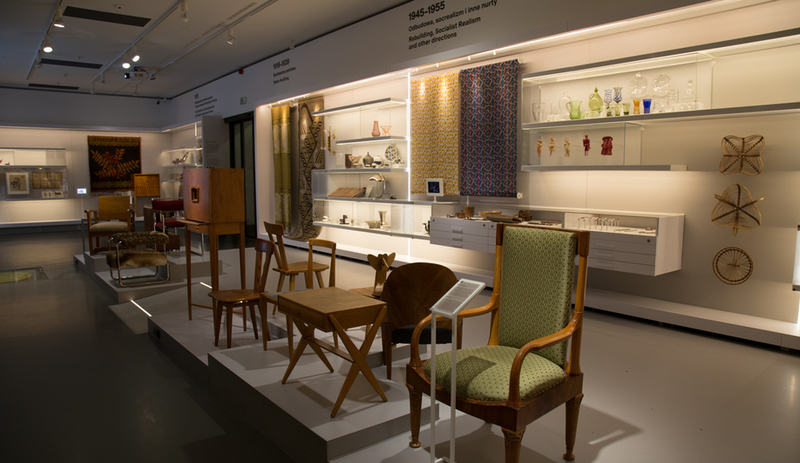 We’re in a new era now, and the gallery covers the full evolution from the 1890 to the present day. 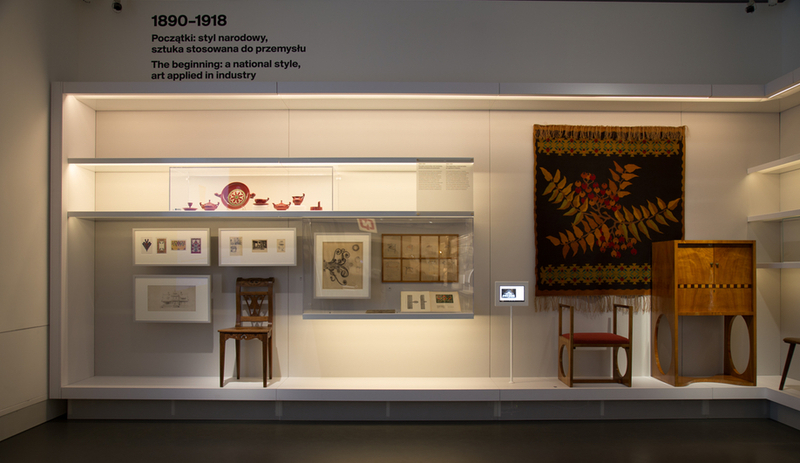 The show is organized into chronological themes, beginning with the turn-of-the-century Zakopane – a nationalist style that embedded folk patterns into furnishings, ceramics and textiles – and continuing on to include examples from the mid-century social realism days. 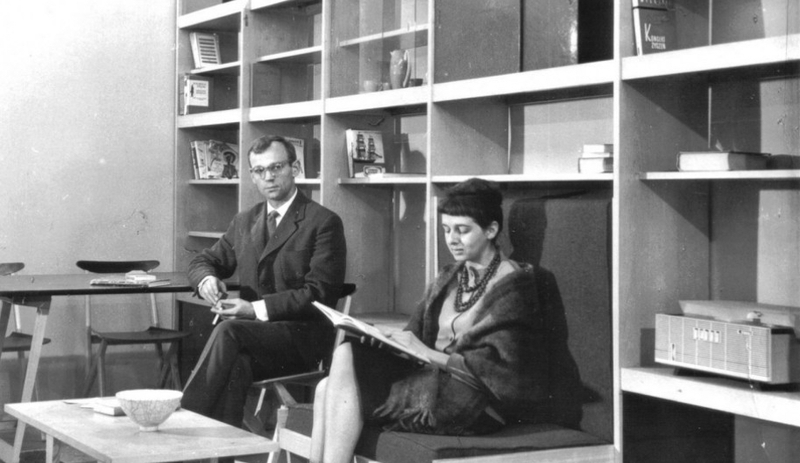 This era is especially important for the role played by Wanda Telakowska, director of the Ministry of Culture and Art’s Production Aesthetics Oversight Bureau and one of the founders of the Institute of Industrial Design. Telakowska died in 1985, but her championing of Polish design lives on in the prototypes she collected from this era and beyond. Many, but not all, of the gallery’s 25,000 pieces were part of her collection. 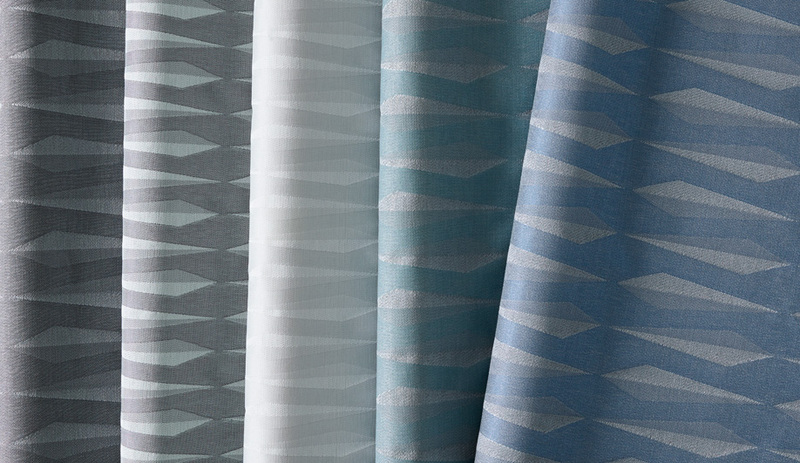 While the official press release notes that Telakowska’s was an era in which “Polish applied arts developed with the greatest dynamism,” in reality most of this work remained stuck in the prototype phase. Since the fall of communism, however, Polish design has been slowly gathering steam both inside the country’s borders and out. 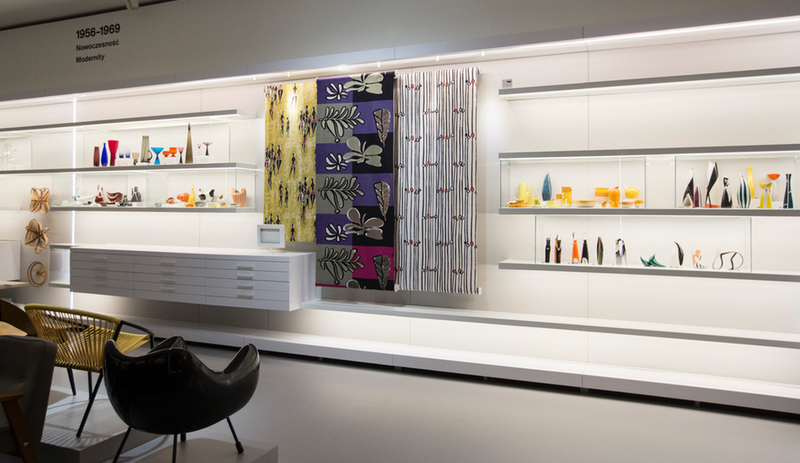 The section dedicated to “After 1989: A Renewed Openness” features recent works by Tomek Rygalik, Modus Design and Donata Rucinska. 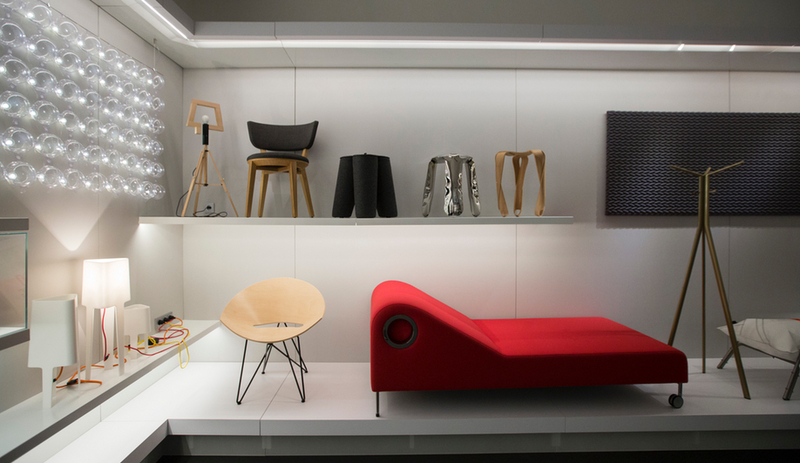 But perhaps the last 10 years alone deserves its own spotlight, as the country’s furniture factories – already churning out collections for Ikea, Fritz Hansen, Hay and even Tesco – seem to have become more and more interested in working with young talent. Nonetheless, the history as presented in the gallery is fascinating. 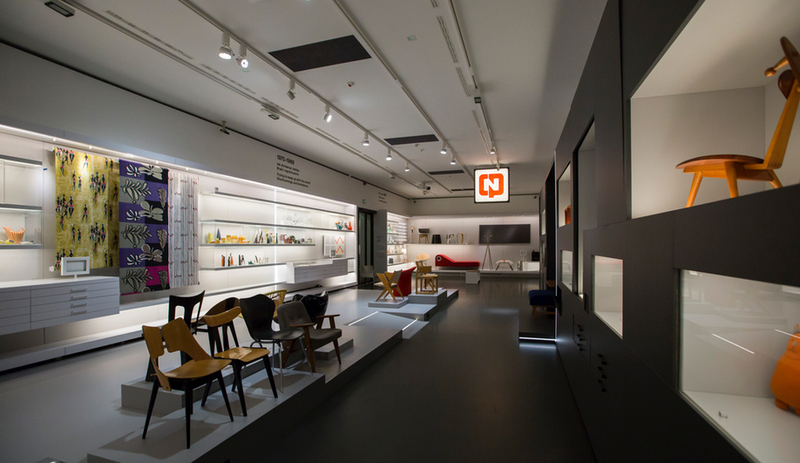 Beyond the vibrant toys, gorgeous ceramics and glassworks on display, to me four pieces best encapsulate the ideology-steeped forces at play in Polish design: Roman Modzelewski’s RM58 chair (from 1958) and the Kowalski wall unit (from 1963), as well as Moho Design’s DIA carpet and Oskar Zieta’s Plopp stool (both from 2008). The RM58 chair was created during Soviet times but could never get into production, despite even the best efforts of Le Corbusier (who was a big fan of it). 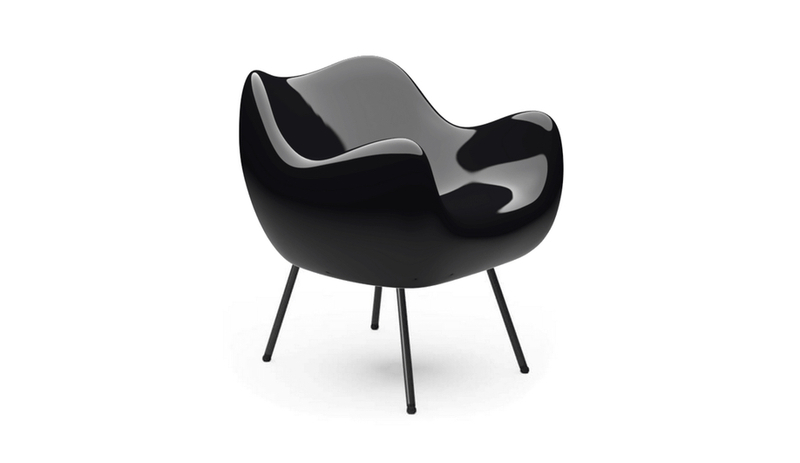 Gleamingly modern, it might have been a long-enduring Polish classic, in the vein of the Panton chair. The only kind of furniture that did get produced in great numbers was for the masses, easily and cheaply made. Designed by Boguslawa and Czeslaw Kowalski, the Kowalski wall unit was manufactured by the Lodz Furniture Factory, and originally intended for the small apartments of Lodz factory weavers who lived in standardized housing blocks. 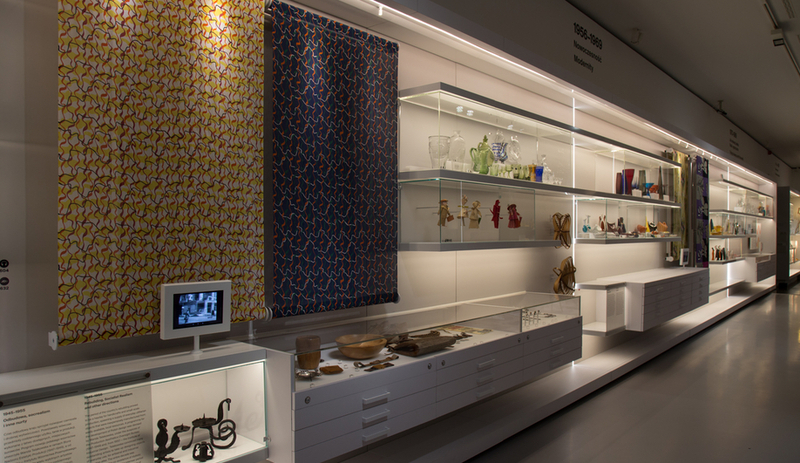 It was largely embraced as a sign of modernity – even freedom: users could arrange the system’s modular shelving, seating and table pieces as they wished. But it was poorly made, known to fall apart and, in retrospect, depressingly drab. In its defense, it was streamlined and definitely not folksy. Fast forward to 2008. At a time when Polish designers were beginning to make a name for themselves at international shows, the DIA rug by Moho Design nabbed a Red Dot Award. This prestigious vote of confidence is still considered a watershed moment in Polish design, yet it also reinforced prevailing notions about what makes Polish design Polish – the folk-inspired carpet was fun and modern but played up ethnographic stereotypes. 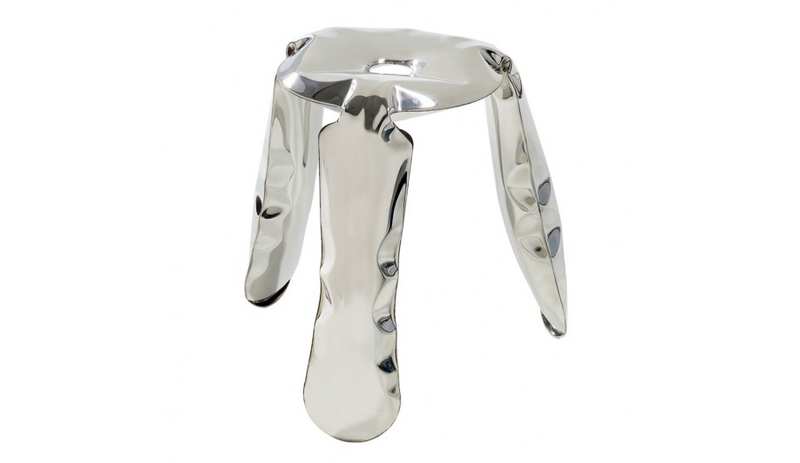 That same year in Milan, Oskar Zieta debuted his Plopp stool, an air-pumped metal stool that knocked the socks off the design media. It was perhaps the first major contemporary piece that demonstrated on an international stage how great Polish design could be when stripped of the folk aesthetic. It turns 10 this year, and, like the RM58 – which is now produced for the first time by Polish furniture company Vzor – it is what a true modern Polish icon looks and feels like.